Columbia Heights is a lovely neighborhood in DC’s Northwest Quadrant where the locals are never left wanting for things to do and see. It’s well known for its trendy vibes, warm and welcoming community, and panoramic view of downtown DC. The neighborhood’s pride is reflected in every local retailer, restaurant, and park. The community even hosts an annual festival, Columbia Heights Day, which is a free event with a carnival, live music, fitness classes, and more just to celebrate the area's unity. Be sure not to miss it on June 16th this year! If you’re moving to the area or at least considering it, we’d love to show you some of our favorite spots and attractions to introduce you to the local color. Our absolute favorite part of living here is the access to a variety of beautiful outdoor areas. While urban living affords us a unique lifestyle full of comforts and conveniences, sometimes we just need a break from all the hustle and bustle of the city. In Columbia Heights, we’re fortunate to have welcome refuge via its various private and public parks. 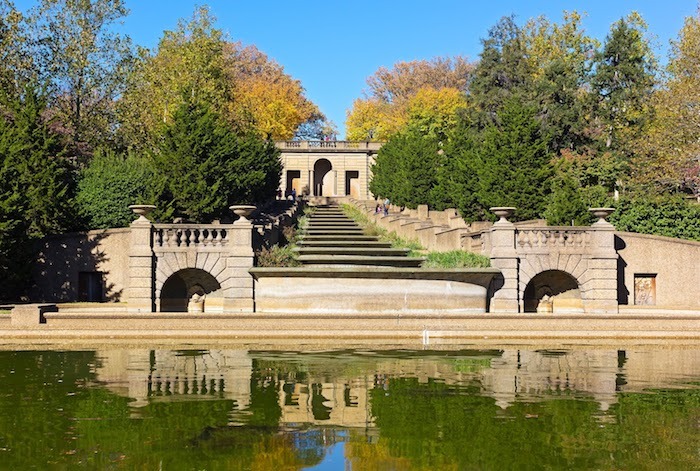 With a rich history dating all the way back to DC's creation in 1791, Meridian Hill Park today serves the area as a delightful oasis for picnics, exercise, and a gathering place for events and performances. Stop by any afternoon or weekend, and you’ll see how the Columbia Heights locals take full advantage of this relaxing greenery. It is a public park maintained by the National Park Service and is open during daylight hours. 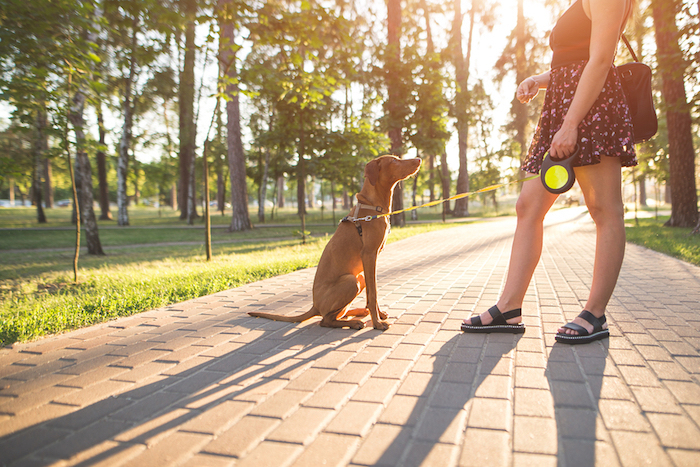 This dog park offers locals a grassy area with benches to spend quality time with their pets. It is maintained by the neighborhood residents and local business owners and is a shining example of Columbia Heights’ active and prideful community. If you live in DC, you know the city is home to some of the most delectable local flavors you can find across the nation. Of course, Columbia Heights is no exception with plenty of options to choose from. We couldn’t possibly cover all of the ones we love, but we’ll highlight some of our favorites and encourage you to explore from there. For some local ethnic flavors, head over to Thip Khao. They specialize in Laotian cuisine, which is not only delicious but celebrates the culture of Laos through an extensive menu of traditional dishes. With generous gluten-free and vegetarian options, there’s something here for everybody to love. An excellent place to grab a beer or cocktail and enjoy European inspired cuisine. This one-of-a-kind beer garden is a soccer fan’s dream. They show every single Premier League and Champions League game for the entire season. 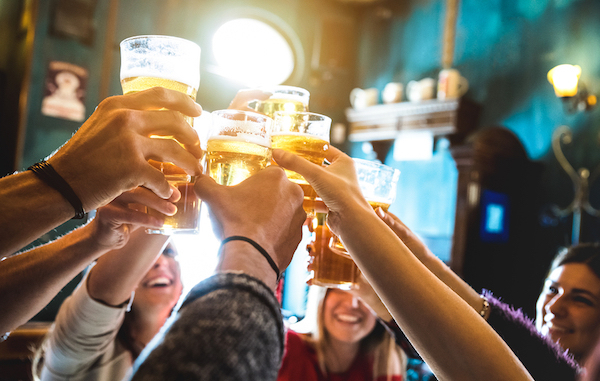 Even if the game isn’t broadcast on cable, they have televisions with the NBC Sports online app so you’ll never miss the opportunity to cheer for your team over a cold pint. Not a soccer fan? They also show other sports and frequently host events like Karaoke and Trivia. 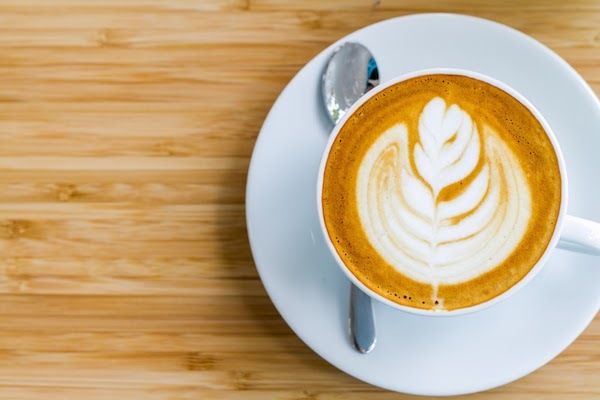 The Coupe is a cafe and coffee house serving locally sourced food and coffee and even local beers and liquors. With a wide selection of coffees and a cozy atmosphere, it’s the perfect place to enjoy a delicious brunch. But it doesn't end there, their doors are open 24 hours a day, making it a great local spot for night owls and those who have non-traditional schedules. Bring your laptop and take advantage of the free WiFi, day or night! 11th Street to the East is a hub for local bars, dining, and social activity. Whether you want to bring your friends out for a quiet drink in a pleasant atmosphere or are seeking a night of music and dancing, you’ll find it all on this strip. The New York Times even called it the “Hip Strip” because of its rapidly developing social scene. If you’re not sure where to go first, here are just a couple that the locals love. Room 11 is a small and cozy bar that features a wealth of specialty cocktails and a generous wine selection. They also serve a variety of small plates and appetizers if you’re looking for a bite. It’s a great place to begin the evening or for those looking for a more intimate setting. A local favorite for music, dancing, and happy hour fun! Zeba is a multi-level bar with two floors, three bars, a heated upper deck, a dance floor, hookah lounge, and a large beer selection. Check their website for special events! You can also head to the nearby U Street Corridor if you’re looking for more nightlife variety. Bloombars is a community center for arts and culture and frequently hosts events for adults and children. They’ve been voted the Best Arts and Culture Nonprofit for six consecutive years by the Washington City Paper’s readers. You’ll want to check out their calendar frequently to see what they have coming up; you can find everything from a film showing to ballet when you walk through their door. 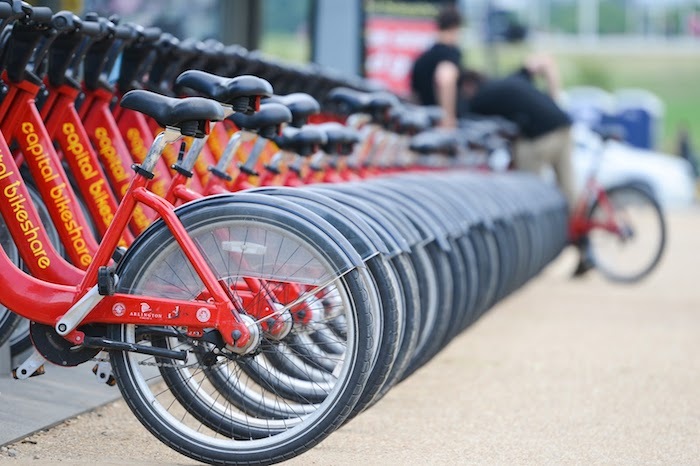 According to Walkscore, Columbia Heights is among the city's most bikeable neighborhoods. The best part? You don’t even have to own a bike to get pedaling. There’s a Capital Bikeshare station next to the Metro stop on 14th St NW. For just a few bucks or unlimited trips under 30 minutes for $85 annually, you can take advantage of the program to get around the neighborhood with ease. If you are moving to Columbia Heights, there are so many local attractions, dining, and neighborhood amenities you have to look forward to. These are just five things locals love about the neighborhood, but there’s much more to explore. If you’d like a more in-depth look at what life is like in Columbia Heights, you can find it in our Columbia Heights Neighborhood Guide. We’ve also compiled a list of local resources and businesses so you’ll always have something new to check out.